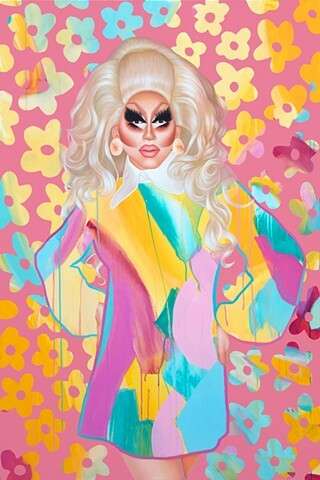 Portrait of comedian, singer, songwriter, multi-instrumentalist, actor, drag queen and life-size woman, Trixie Mattel. Trixie Mattel is the stage name of mega-babe Brian Firkus. She’s young, educated, beautiful, rich and famous with a gooorgeous Native American jawline and hair for days.